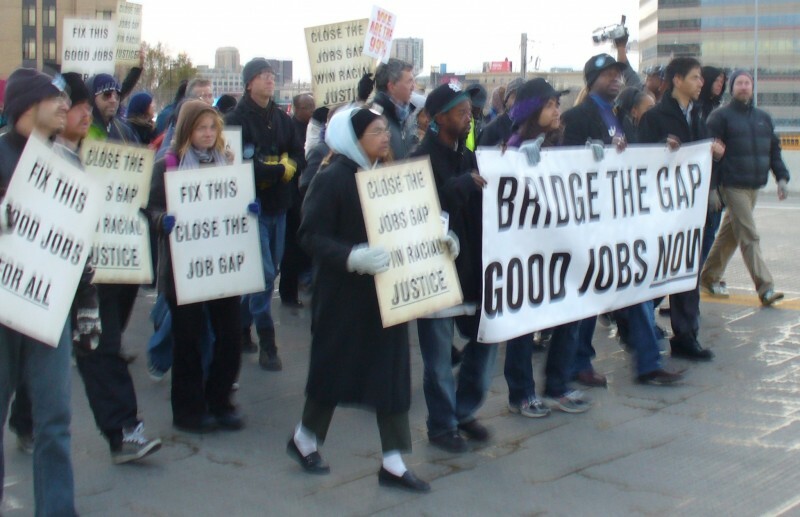 Protest demanding jobs shuts down major Minneapolis bridge, 11 arrested | Fight Back! 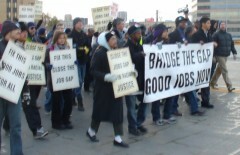 Minneapolis, MN – About 800 people blocked a major bridge here, Nov. 17 in a march demanding jobs. Police declared the protest to be an unlawful assembly and arrested 11 people who sat down in an act of civil disobedience. The 10th Avenue Bridge, which spans the Mississippi River, was closed for about an hour. Speaking on the bridge, Pastor Paul Slack demanded Congress pass a job bill that addresses unemployment, particularly the massive unemployment that exists in the African American community. “Minnesotans know better than almost anyone how much crumbling bridges and infrastructure can cost a community. We must fix Minnesota’s infrastructure and we must use these jobs to fix the economic inequality in our state - with 22% African-American unemployment we have one of the worst racial job gaps in the country. We are marching to demand that our leaders pass a jobs bill that will put people back to work repairing our infrastructure and providing vital public services, not kill even more jobs with devastating budget cuts,” said Tee McClenty, Executive Vice President of SEIU HealthCare Minnesota. 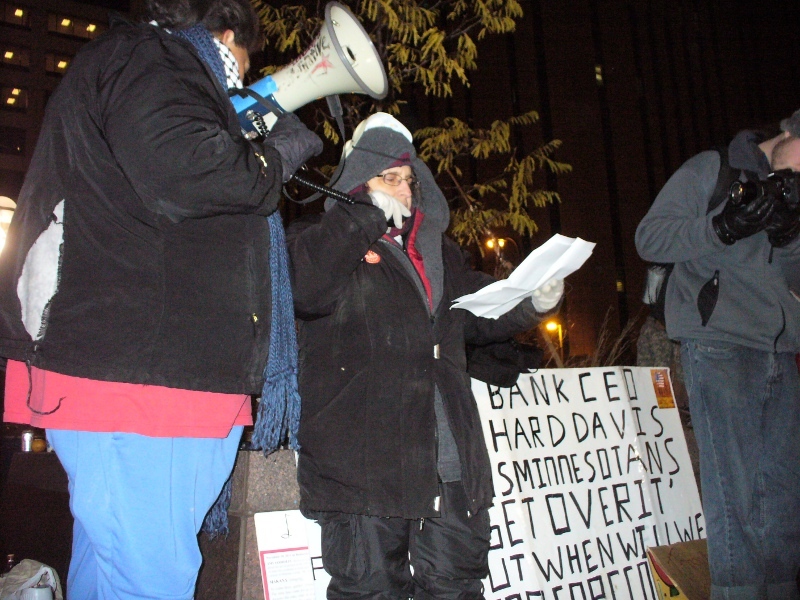 After the protest on the bridge, demonstrators marched to People’s Plaza, the home of Occupy Minnesota for another rally. Deb Konechne, of the Events Committee of OccupyMN urged people at the rally to join encampment at Peoples Plaza, where people have held a 24-hour presence since Oct. 7.